You can fight your way through some truly beautiful landscapes when Ghost of Tsushima is released. During Sony's E3 2018 press conference, four games were shown in-depth, one of which was Ghost of Tsushima. Whisking viewers all the way to Feudal Japan, the extended gameplay trailer showcases some of the game's intense action. The trailer opens with your character walking through scenic vistas before mounting his horse and heading off in search of a fight. The music swells, highlighting what will undoubtedly be an amazing soundtrack once the game is released. Then, the trailer wastes no time jumping into the violence of samurai combat, with various sword combos shown. Stealth aspects are also shown, with your character slinking on the rooftop of a temple before slowing everything down (literally) to slay the enemies within. As the trailer comes to a close, it's easy to say that Ghost of Tsushima aims to wow players with its stunning visuals and impressive graphics. Ghost of Tsushima is set in 1274 on the island of Tsushima. The Mongol Empire is invading and causing chaos. 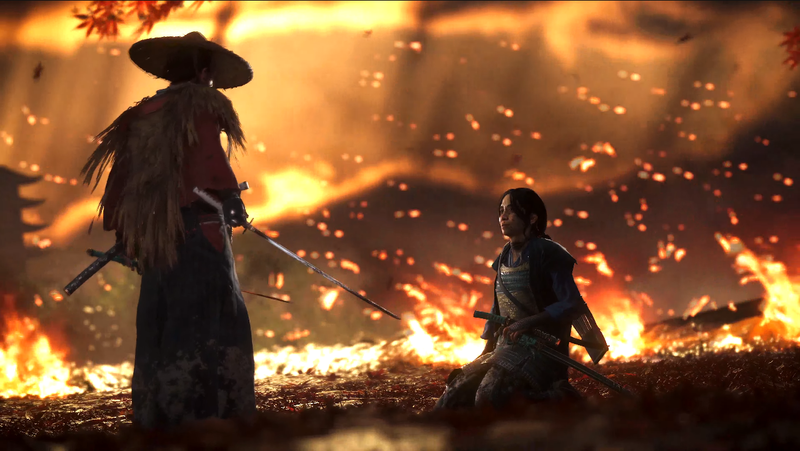 As one of the last surviving samurai, you'll step up to fight back. Honorable tactics won't get you far in Ghost of Tsushima, you'll instead need to employ new tactics (the way of the Ghost) if you hope to restore freedom to Japan. For more on Ghost of Tsushima, be sure to watch the extended gameplay trailer above, and pay a visit to the Ghost of Tsushima website. What did you think of the Ghost of Tsushima gameplay? Are you looking forward to playing the game? Let us know your thoughts down in the comments below!